The Crown Automotive Shift knob is an OE replacement for Jeep TJ & XJ Models with Manual transmissions. Replace that Shift Knob that has worn out threads or has decayed from the elements with this quality shift Knob from Crown automotive. 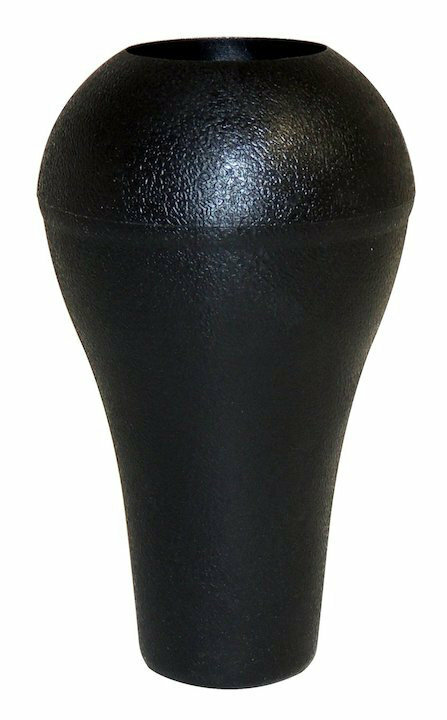 Durable Construction: Made from tough Plastic and steel to withstand the everyday use that a Shift Knob endures. Fitment: This Knob threads on tightly for a secure fit on a manual transmission shifter. Note: Shift Knob Does Not Include Shift Knob Insert. Nice shape for an inexpensive knob but plastic knob is kind of cheap looking with a horizontal molded seam line going all the way around the knob where the halves were molded together. Again it's not expensive.